Savings: everybody knows it something they should have. They create the foundations of financial security and make doing anything from celebrating the holidays to buying a new iPhone painless. Unfortunately, few people do what it takes to build savings. Like drinking eight glasses of water, eating 10 veg, and walking 10,000 steps a day, the things that are good for us are rarely the things that we do. The budget is the single most important financial tool in your arsenal. It gives you the clichéd 30,000-foot view, so you can see where your money is coming and going. It also provides the details. Up close, your budget will reveal bad spending habits that hurt your chances of putting money into your savings. You can start by tracking your expenses from the past 3–6 months. This retroactive look should show your typical spending habits. Don’t overlook any spending — no matter how small individual purchases may be. You can organize these purchases into categories of spending, so you can see their cumulative impact on your finances. This exercise will expose your true money habits. If you find you’re spending hundreds of dollars at Starbucks, you’ll know this category could free up a lot of cash if you quit buying takeout coffee. If you find you’re spending nearly 70 percent of your income on rent, you’ll know it’s time to consider moving somewhere cheaper. Once you cut out bad habits and make affordable lifestyle changes, you can start putting more money towards a savings account. Your next question will be the type of savings account you want. The most basic savings account is better than nothing. It separates your expendable cash from the money you mean to protect, so you’re less likely to spend it. However, these basic accounts don’t offer many perks for long-term savings. They rarely offer an interest rate that can compete with the rate of inflation. High-interest savings accounts are as their name suggests. They offer a more lucrative interest rate than the basic account. As a trade-off, they usually come with extra conditions — things like a minimum balance or a maximum monthly withdrawal. Depending on your situation, you may have to build your savings up before you meet the minimum balance. There’s also the option of RRSPs, mutual funds, ETFs, and other long-term savings opportunities. In the case of an RRSP, it’s a tax-deferred plan that grows untouched for years — locking your cash until you retire. This next step is the hardest, yet most important, part of your plan. Robust savings depend upon regular contributions, so you need to make sure you’re committed to making consistent deposits. Automating these contributions is an easy way to simplify your task. Most — if not all — banks will coordinate these pre-authorized deposits into your account, giving you the option of daily, weekly, or monthly deposits. Once you set this plan in place, you won’t have to worry about forgetting to contribute towards your savings. It also protects your cash from senseless spending. The bank will automatically take cash out of your account, so you won’t be tempted to spend it on a new pair of shoes. There is a learning curve with automated savings if you aren’t used to money coming out of your account without your direct involvement. Until you get into the swing of things, you can forget about your savings and spend the cash dedicated to your nest egg on other expenses. The bank won’t know this and will still take the approved amount out of your chequing. If you’re on a tight budget, then this might leave you without enough cash to pay for other essentials — or it may overdraw your account. When you’re facing an emergency without the cash you need, an online payday loan is a quick way to cover essential bills and repairs. An online platform means lenders like GoDay can expedite the borrowing process. There’s no need to schedule a meeting at a bank or wait for different departments to review and approve your application. If you live in a place like Ontario, where you’ll face penalties for withdrawing from an RRSP too soon, you can also avoid costly fees. The best payday loans Ontario has to offer operate online to remove these wait times and penalties. In some cases, they issue online payday loans one hour following approval. This timeline makes them ideal for urgent problems that need to be dealt with quickly. 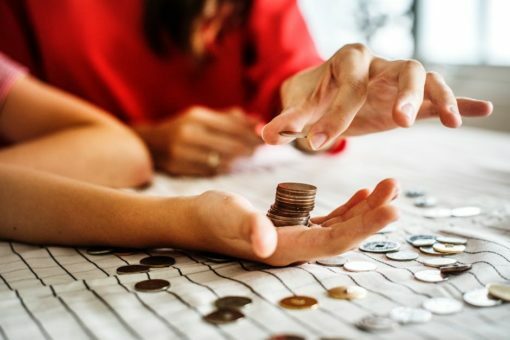 Savings aren’t always easy to create, and you’ll experience a few hiccoughs that prevent you from saving as much and as often as you would like. You may even withdraw from your account earlier than you realized you would, but the fact that you have something to withdraw should prove you’re on the right track. Eventually, saving your money will become second nature, and you’ll have a considerable nest egg to rely on.